Have you ever scrolled through Netflix and thought, “Huh, that’s a weird thumbnail to promote that movie,” or “Why does the poster have a minor supporting character from that show?” Same. Netflix has recently started to promote movies and shows with some untraditional thumbnails that aren’t the typical movie poster or studio promo images you usually see. But recently some subscribers have noticed something even more jarring – allegedly targeting users based on race. Recently, multiple black Netflix users have noticed shows and movies are being promoted to them with thumbnails featuring supporting black characters in a movie or show with white leads. Writer and Rise of Charm City podcast creator Stacia L. Brown recently brought it to attention on Twitter, sharing screenshots of Netflix thumbnails for movies like Set It Up, Like Father, and Love Actually. For Like Father, which stars white actors Kristen Bell and Kelsey Grammar, Brown’s account had a thumbnail featuring black actors Leonard Ouzts and Blaire Brook, whom she notes have about 10 minutes of screentime in the movie. Both me and another white ScreenCrush editor checked our Netflix accounts; we both had images (albeit different ones) of Bell and Grammar. I also checked my account for each of the four movies above and for all four had thumbnails with white leads – for Sierra Burgess Is a Loser, my thumbnail does have RJ Cyler, but he’s tucked in the background behind his three white cast members. So is that just because I’m white, or does Netflix think I’m just a huge Josh Groban fan so that’s the optimal way to promote The Good Cop to me? (Note: I was once dragged to a Josh Groban concert but that does not mean I like Josh Groban!) 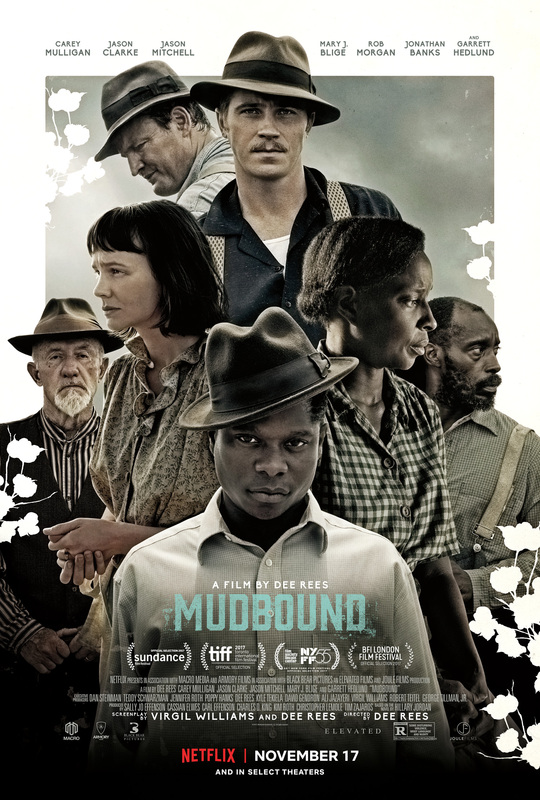 Another interesting thumbnail I spotted was for Mudbound: just of Garrett Hedlund, who is the last billed on the film’s official poster after three black actors (and one who got an Oscar nomination for her role). Hm. Reports that we look at demographics when personalizing artwork are untrue. We don’t ask members for their race, gender, or ethnicity so we cannot use this information to personalize their individual Netflix experience. The only information we use is a member’s viewing history. In terms of thumbnails, these do differ and regularly change. This is to ensure that the images we show people are useful in deciding which shows to watch. All of this led us at ScreenCrush to wonder how different our own accounts were. Even though both myself and ScreenCrush EIC Matt Singer are white, we wondered how Netflix was promoting things differently to us. And then we compared his account to his wife’s account, which is where things got interesting. Here’s just a few examples of the biggest differences. So it’s clear, Netflix thumbnails are tailored to each user in some way. The company has been open about “artwork personalization” in the past, and wrote a post on Medium about the methods behind alternate thumbnails. “The artwork may highlight an actor that you recognize, capture an exciting moment like a car chase, or contain a dramatic scene that conveys the essence of a movie or TV show,” they wrote, all in an effort to “improve member experience.” That post also explained how someone who watches more romances is more likely to see a thumbnail of a couple from a movie, while someone who watches more comedies will likely see a comedic actor instead. But still, it’s a little creepy how far these algorithms seem to go, especially considering the differences regarding race. Sure, Netflix may purport to help members discover movies they’d like, but doesn’t curating their marketing this way prevent people from discovering new things? If you like romantic comedies, I doubt you only want to watch romantic comedies and even if you do, you’re gonna be pissed when you find out that depressing drama was mismarketed to you. And if white users continue to see things promoted featuring only white actors – especially movies like Mudbound that are primarily about black experiences – well that’s obviously a huge problem.